Many children need braces and all children need at least some orthodontic attention, even if it is a simple evaluation. The American Dental Association recommends that every child see an orthodontist by age seven. Dr. Iris Erdell is a Walnut Creek Orthodontist who enjoys working with children to help establish a healthy smile that radiates confidence as well as, proper jawbone health and alignment. In orthodontics there are many different types of malocclusion (ways of biting), and the ways to treat them are all different too. There are many options of treatment to avoid harmful bite situations, and or extractions. Dr. Erdell will be able to review and describe each individual’s treatment in a way that is understandable and will be the best possible of options for every patient. Crossbite – A crossbite is a type of bite that involves upper and lower teeth on the opposite side of normal, it can be one tooth, one side of your mouth, just the front or all the way around. Underbite – An underbite, commonly known as the “bull dog” bite, occurs when the upper front teeth bite inside the lower front teeth. This can be caused from excessive lower jaw growth, and is commonly a part of heredity. Openbite – An openbite is when the back molars touch while biting but the child’s incisors (front teeth) do not. This bite makes it impossible for a person to be able to take a bite out of a sandwich and completely bite all the way through. Patients with an open bite usually have a habit of some kind such as habitual thumb sucking, long-term pacifier use or tongue thrusting. Deepbite or Overbite – An overbite is the amount the upper front teeth overlap the lower front teeth, commonly known as a “bugs bunny” type of bite. A deepbite is when there is excessive overlap of the top front teeth; in these cases, the patient may even bite into the roof of their mouth. Crowding – Many children and adults have a crowded mouth, this is usually when teeth do not have sufficient room to erupt into proper position. Extractions of permanent teeth may be avoidable if treatment happens early enough to help Mother Nature make room for the adult dentition. Spacing - Spacing is when the teeth do not touch in between, and leaves extra room that may be caused by missing teeth, smaller than average teeth, or just an aesthetic issue. Many incidents of malocclusion can cause embarrassment in children and studies show that misaligned teeth are a common bullying topic among kids. Orthodontic treatment aligns teeth to create a more symmetrical, pleasing smile. Dr. Erdell is passionate about instilling confidence in your child. What types of braces are available for children and teens? There are varying types of braces available for children and teens. Our office offers traditional braces, clear braces, as well as Invisalign Teen®. We realize each child presents a different situation and set of circumstances, so a thorough oral exam will help Dr. Erdell determine the best option for treatment. Traditional Braces – Traditional braces are metal brackets and elastic bands that slowly shift the teeth and jawbone into alignment. Many children like these braces as they have the ability to customize them with colorful elastics. Ask our team about our variety of colorful bands to personalize your braces. Clear Braces – If your son or daughter needs braces but prefers a more discreet look, clear braces are an available option. These act similar to traditional braces but include clear brackets, with wires and the patient can choose the elastics either clear or colored. Clear braces will only remain discreet if they are cleaned well and often so some children find traditional braces with colored bands a more practical option. Invisalign Teen® – There are special options to make Invisalign® treatment easier for growing, busy teenagers. An expander is an orthodontic appliance that gently stretches the bone and cartilage in your palate to make more room for your teeth. An expander can be used on your top or bottom jaw, but it’s more often used for the top jaw. Expanders can be removable or fixed. Dr. Erdell may recommend expanders to widen your jaw, improve the fit between your upper and lower teeth, or move your teeth to make space so that your braces have an easier time moving your teeth into a better position. Although adults can use expanders, they work best when placed before the jaw bones become too solid. What is a Carriere Motion Mppliance? A Motion Appliance moves the upper and lower teeth to give you a correct bite. Dr. Erdell recommends placement of the motion appliance before braces so the important bite correction can be done first. The motion appliance has the same effect as a traditional orthodontic headgear, but it is less invasive and bulky. 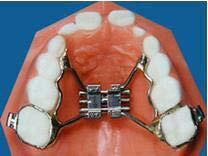 It consists of two curved metal bars that attach to two upper teeth and a lower holding arch or clear retainer. Elastic bands are used to create the necessary force to move your teeth. 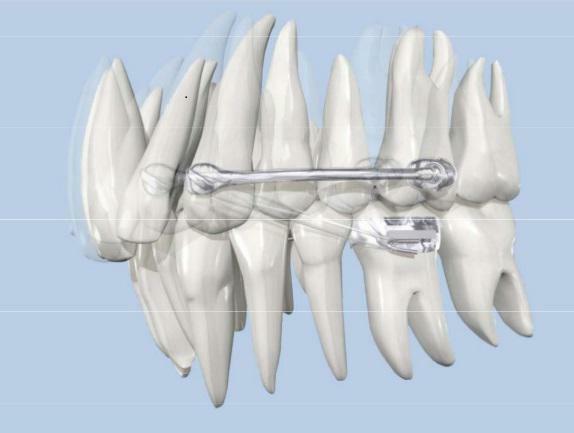 A Motion Appliance can help with correction of misalignment, excessive overbite and overjet and overcrowding as well. Using a motion appliance before braces may also help shorten the amount of time you have to wear braces. Both children and adults benefit from the use of motion appliance. If you’re unhappy with your smile, Dr. Erdell can help!